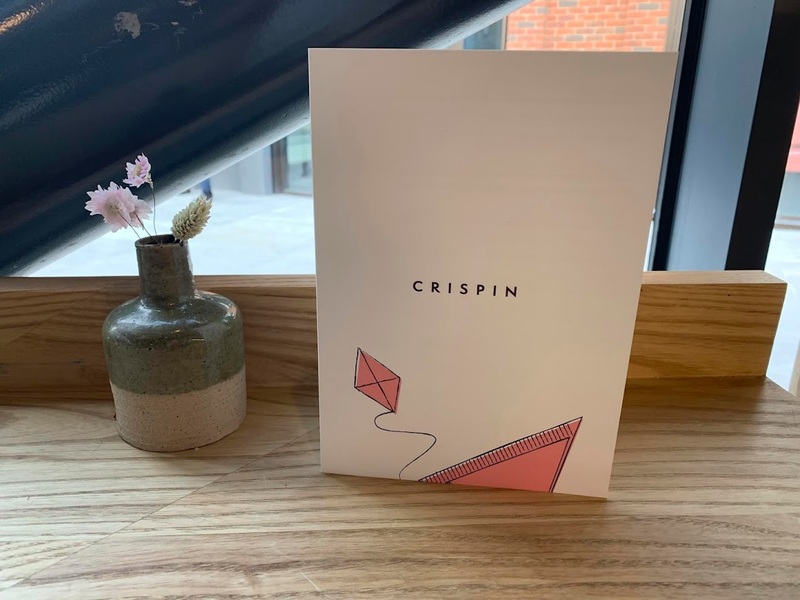 Crispin, a new all-day eatery in Spitalfields, might be the pointiest café I've been to, and happily, the coffee and food are also on point. 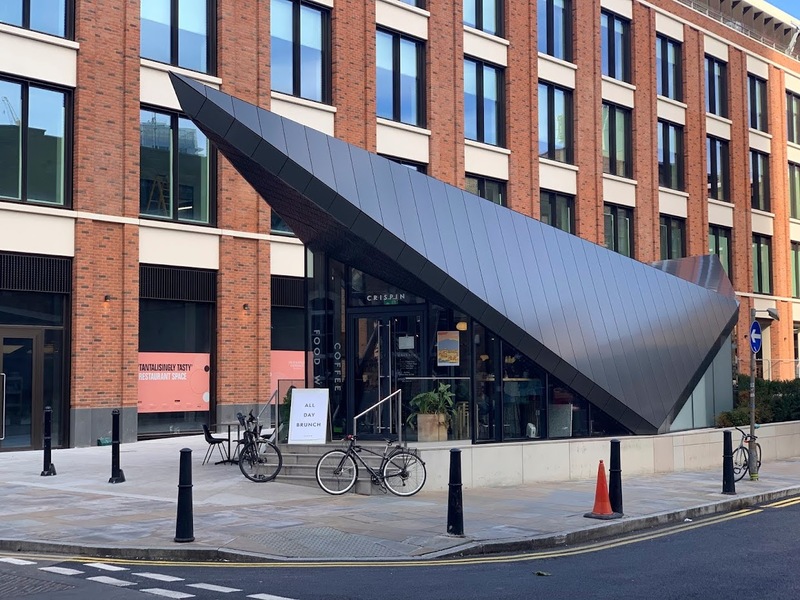 The geometrically striking glass and zinc building is located on the corner of Crispin Street and White's Row, a block south of Spitalfields Market. It's run by the team behind Lundenwic, the small Aldwych coffee shop that made it into my 2016 food and drink awards. As such, my expectations were high. 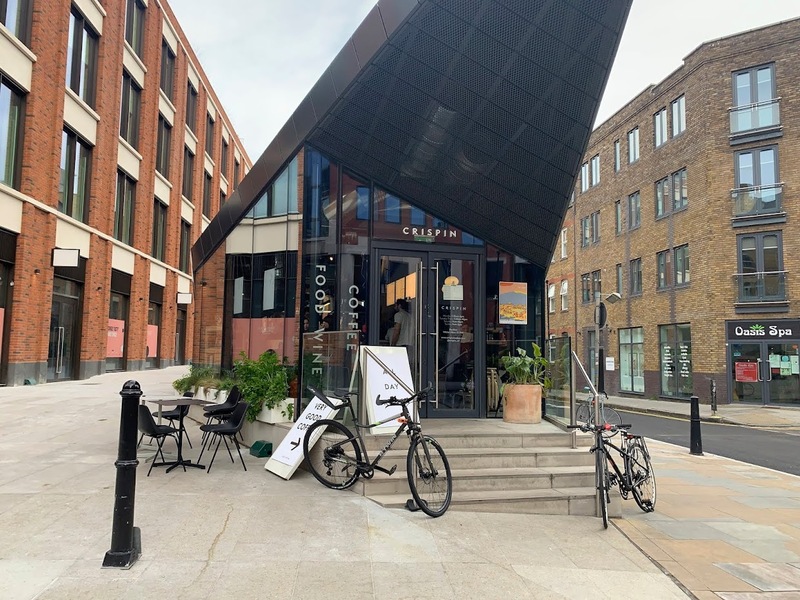 I first came across Crispin late last summer on my way to Spitalfields Market, but I was a day early: the venue hadn't quite opened. Several months later, I return for a late Saturday brunch. I worry that I'm a little too late as it's very busy inside, but the staff find a space for me at the high table at the window, just opposite the counter. 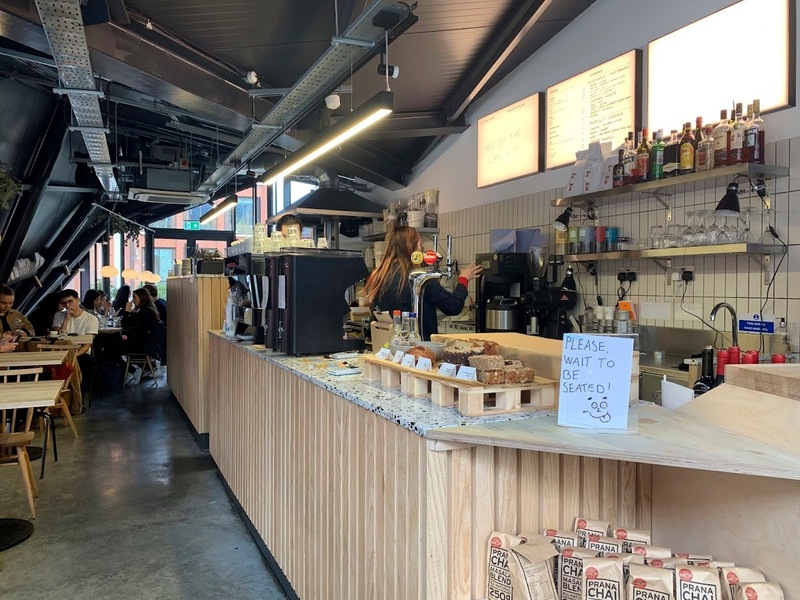 There are more tables further back, and with its large windows and light-wood furniture, it's very light and airy inside despite the confines of the shape of the space. On more clement days, there is additional seating on the terrace. The coffee is from Assembly and Round Hill Roastery, two of my favourite UK roasters. 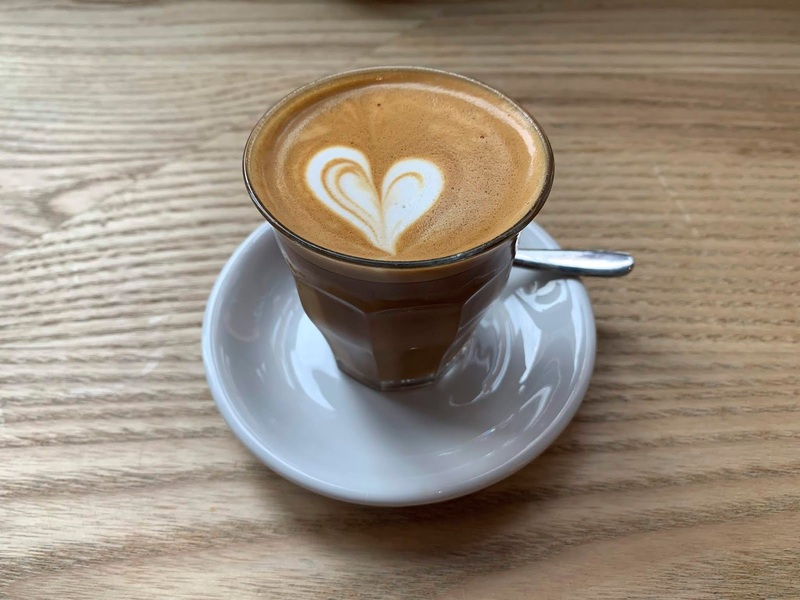 There's a Costa Rican Round Hill coffee available as a filter coffee, but I opt for a piccolo with a Guatemalan Finca Rabanales espresso roasted by Assembly. With its smooth milk chocolate and caramel notes, this coffee tastes great with a little milk. The brunch menu is very appealing, with some more classic brunch dishes, and others that offer a few creative twists. The French toast with ice cream, seasonal fruit and pistachio sounds great, for example, and the couple sitting next to me wax lyrical about the coconut daal. 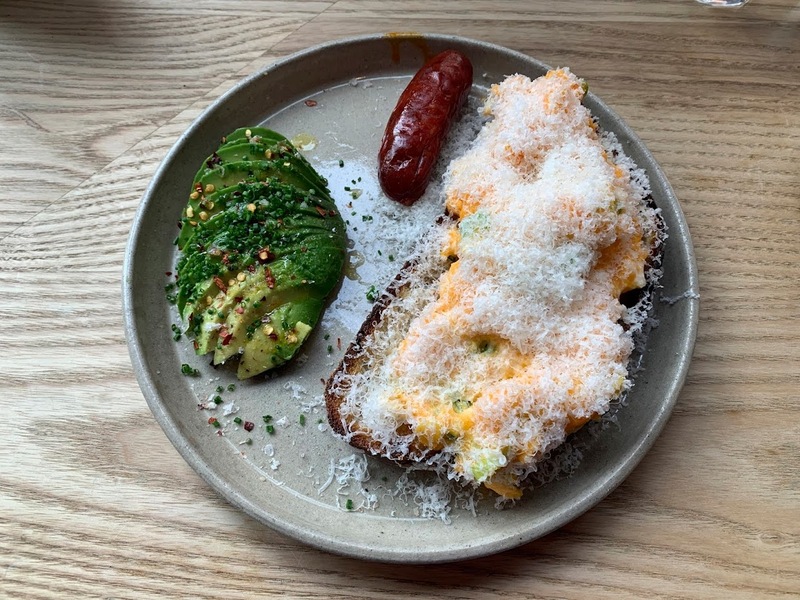 I decide to order the parmesan scrambled eggs on sourdough, with avocado, chilli and chorizo. When it arrives, I'm delighted to see the pillowy clouds of parmesan that cover the egg. The dish reminds me of the last brunch I had at White Mojo during my trip to Melbourne in 2017. Needless to say, it is delicious and I finish every last bite. 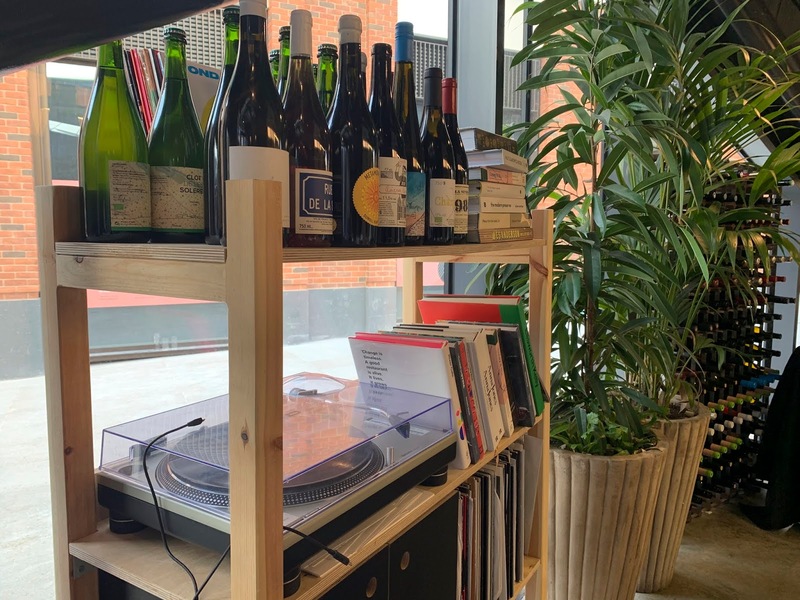 If you are in the mood for something stronger than a coffee, there's an extensive wine and cocktail menu at Crispin. 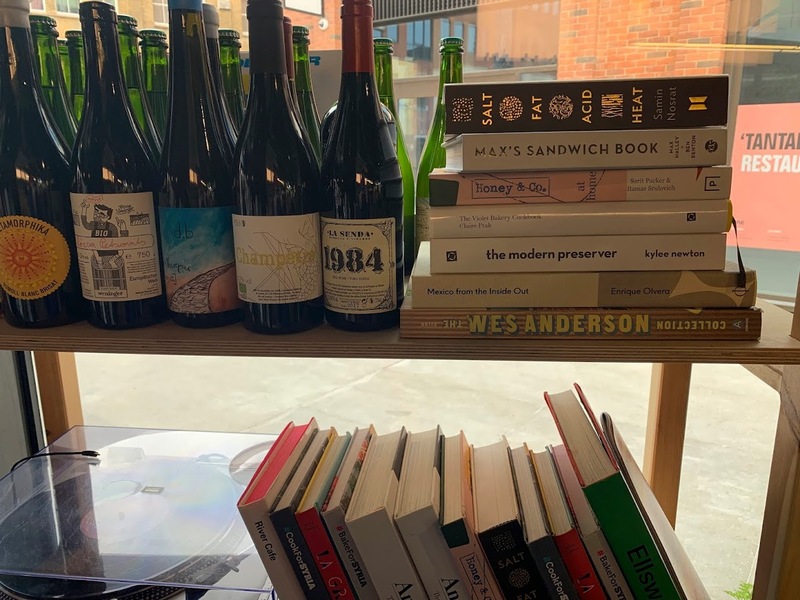 And if you're too late for brunch, there's a small but well-curated and ever-changing evening menu too. I particularly like the option to have 'one of everything' on the evening menu for £28 per person. What's not to like? 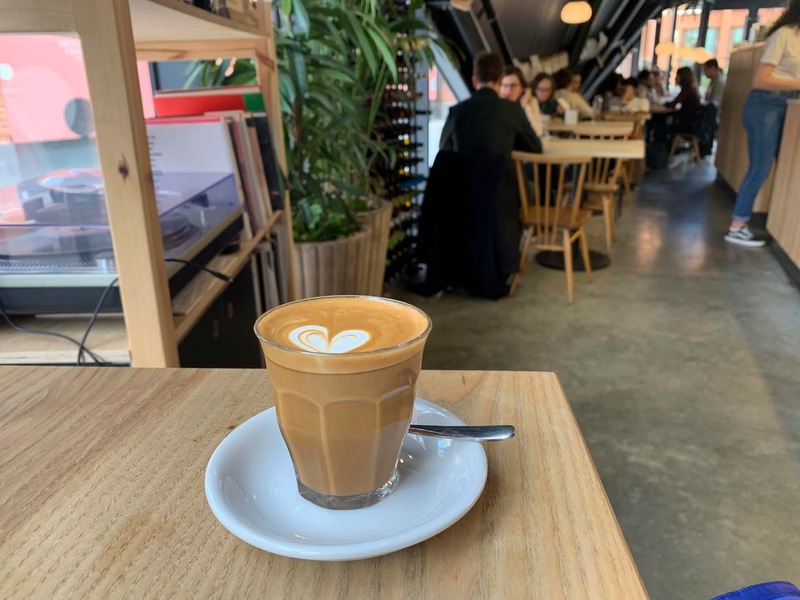 Although it's busy, with a regular stream of customers ordering coffee to go as well as would-be brunch patrons, the service is efficient and friendly. When I say, "oh wow!" on seeing my brunch dish, the server beams and replies that that is exactly the kind of reaction they love to hear. Crispin. The Pavilion on The Corner, White’s Row, London, E1 7NF (Liverpool Street). Website. Twitter. Instagram.